Rather than emphasising boundaries and territories by examining the integration and acculturation of the immigrant or the refugee, this book offers insights into the ideas and practices of individuals settling into new societies and cultures. It analyses their ideas of connecting and belonging; their accounts of the past, the present and the future; the interaction and networks of relations; practical strategies; and the different meanings of home and belonging that are constructed in new sociocultural settings. 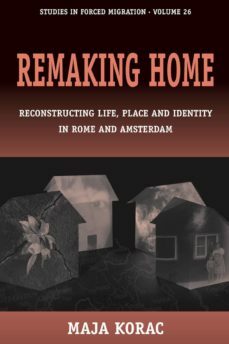 The author uses empirical research to explore the experiences of refugees from the successor states of Yugoslavia, who are struggling to make a home for themselves in Amsterdam and Rome. By explaining how real people navigate through the difficulties of their displacement as well as the numerous scenarios and barriers to their emplacement, the author sheds new light on our understanding of what it is like to be a refugee.